Your smile, and how you feel about it, touches every part of your life. If you’re self-conscious about your teeth, you may be uncomfortable around others due to concerns about how you look. When your teeth are healthy and correctly aligned, your self-esteem blossoms, and that inner confidence is seen. You have a smile that you will love to share with others. At Morgan Orthodontics, we’re Smile Specialists: Dr. Morgan, Dr. Trieu, and our team members are highly trained professionals. We use leading-edge techniques and technologies that are tailored to your unique concerns, to ensure you achieve your most wonderful smile! 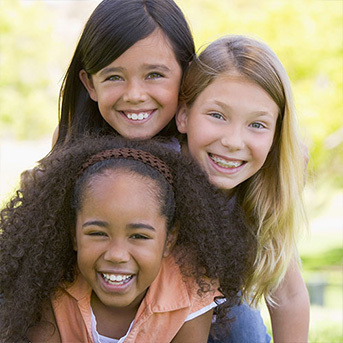 What’s Different at Morgan Orthodontics? Our Doctors: As orthodontic specialists, Drs. Morgan and Trieu have completed rigorous postdoctoral training in orthodontics. They keep current on the latest care options and incorporate them into patient care: designing unique treatment plans that are efficient and affordable, and deliver lasting healthy smiles. Our doctors have both had orthodontic treatment: their firsthand knowledge of how life-changing the process can be inspired them to go into field so they could provide the same experience to others! Our Team Members: Our staff is well-trained and experienced. Each is passionate about providing high-quality care and making your orthodontic experience one that has you smiling from the initial consultation to your finished smile! Our Atmosphere: We believe choosing orthodontic care is choosing to make a lasting, positive change in your life. It’s an exciting process, and we’re glad to share it with you! The minute you step through the doors, you’ll be warmly greeted and made to feel at home. Our office is a friendly, welcoming space, filled with laugher, where you will immediately know you’re part of the Morgan Ortho family! Our Technology: Morgan Orthodontics is the only practice in Ellis County that offers digital impression models and 3D come beam computer tomography (CBCT). The doctors use these safe and comfortable imaging processes to diagnose your malocclusion (misalignment) properly, then craft your individual treatment plan. Before committing to orthodontic treatment, it’s essential to understand your clinical concerns and all the options available to correct them. It is just as important to select an orthodontic practice where you are heard, treated with respect and compassion, and educated about the process and what to expect. We invite you to contact our family-friendly orthodontic office, in Waxahachie, TX, to schedule a complimentary, no-pressure consultation. We serve Midlothian, Red Oak, Ennis, Maypearl, and other Ellis County communities. Everyone at Morgan Orthodontics looks forward to welcoming you to our family. We are excited you’re thinking about changing your life by changing your smile, and can’t wait to meet you!